This project, located in Littleton, MA, was done in conjunction with O Magazine's De-clutter for a Cause, in memory of Aidan Mallio. It features Miracle Recreation's Tot's Choice product line and was custom designed for Ages 2-5 and the space available. 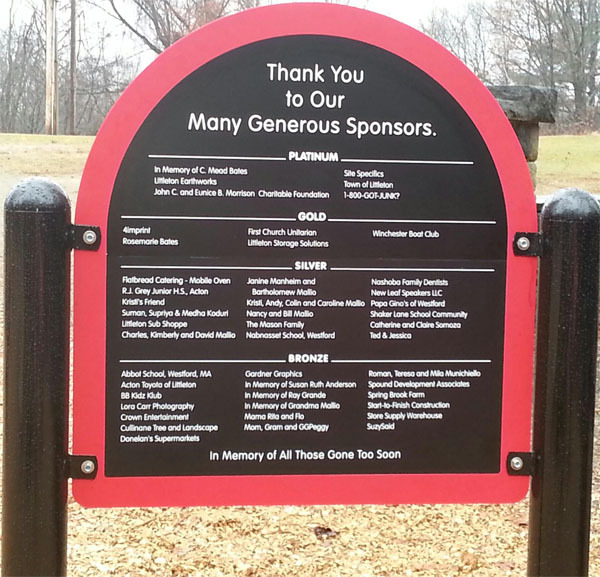 This is a great example of our custom sign capabilities. 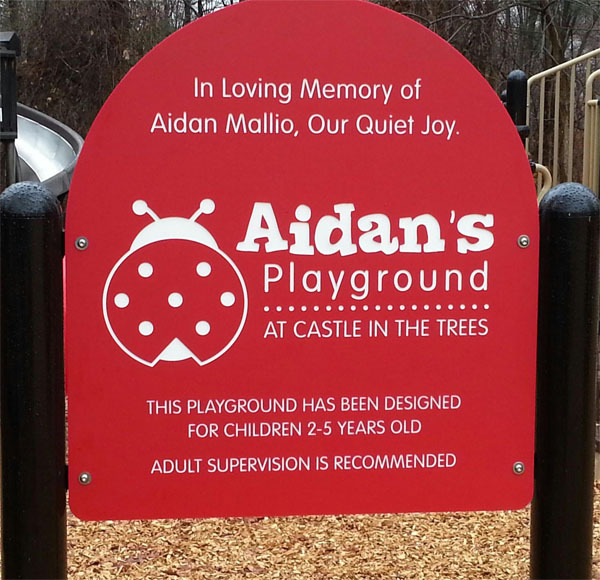 We can use the back of a Miracle sign, or start from scratch using materials that will compliment your play structure perfectly. Call for details. For this job, we converted an old tennis court into a playground. We were able to leave the asphalt in place, and built this playground in 3 days with the help of community volunteers. 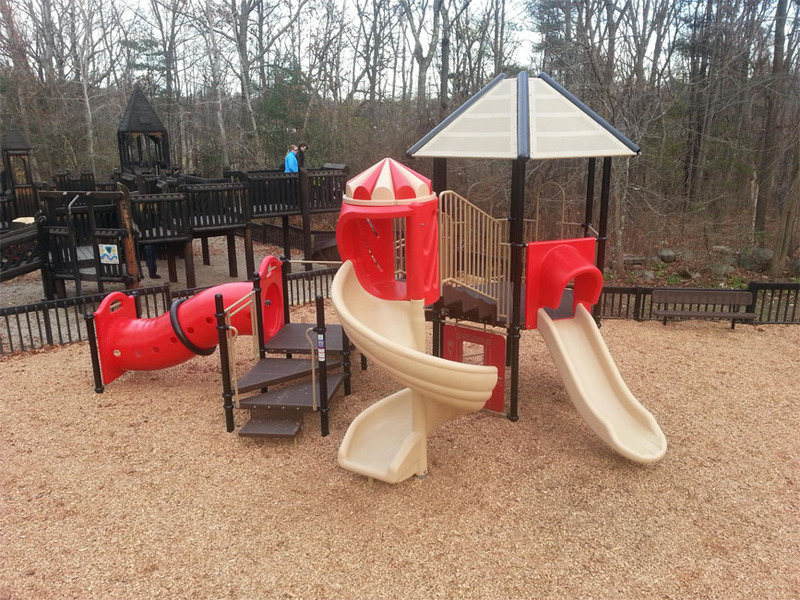 This playground features the new Miracle Reflex 18 person see-saw and the Miracle Ten Spin, both of which are ADA accessible. The structure is Miracle's Kids Choice product line and includes the Flippopotomus Triple Slide and the Jax Web Climber. 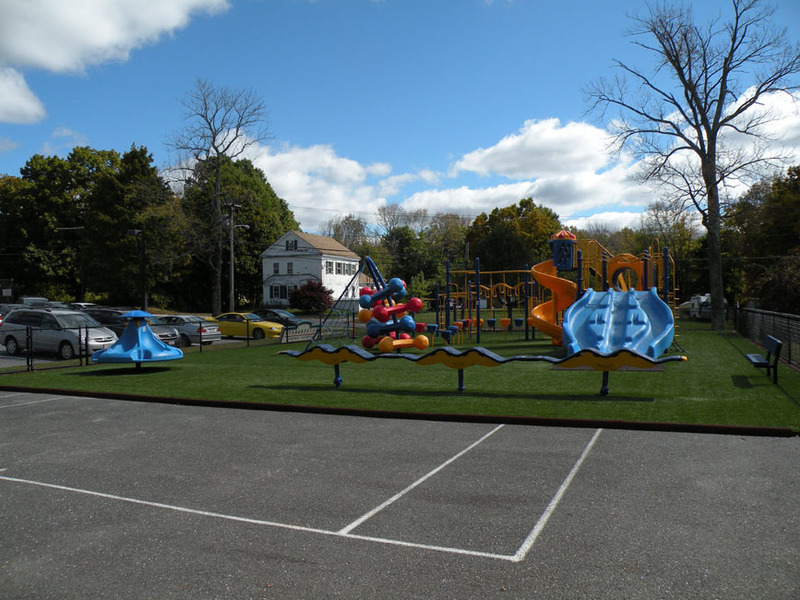 After many years without a playground, the children of Center School were ecstatic to finally experience their Miracle! 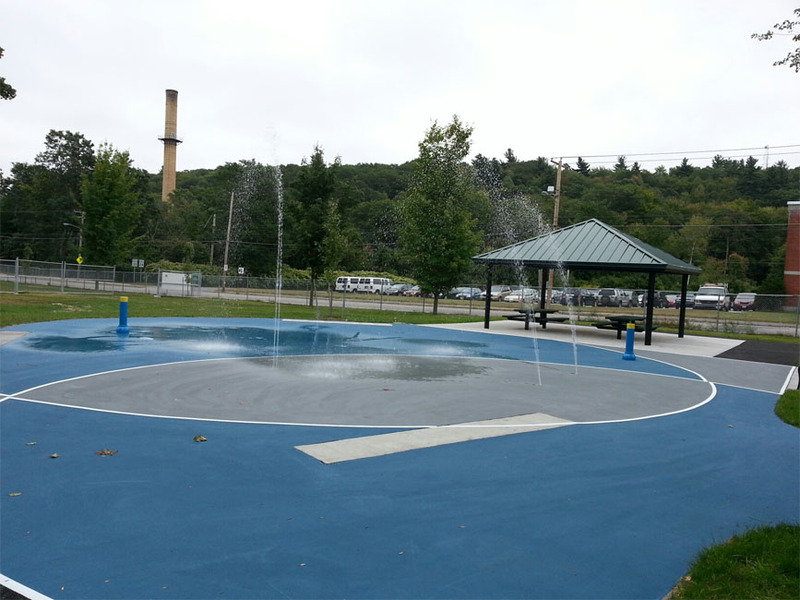 This project features a splash pad from Aquatic Recreation Company with all ground level sprays and 2 activation bollards. This pad uses a city water system which is a great way to keep costs down while still getting the play value you want. There is also a 20' square CoverWorx shelter and 2 Miracle punched steel picnic tables to provide a place to relax and get out of the sun. 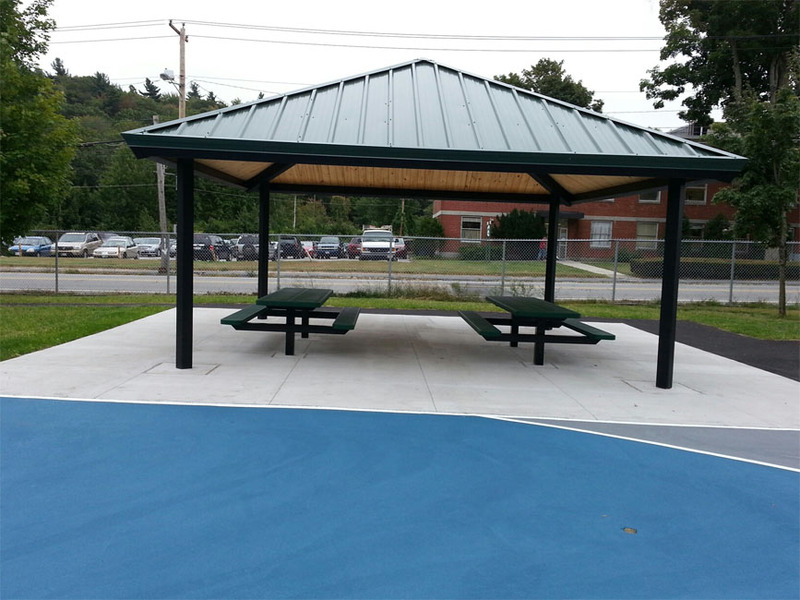 This project shows how to get a great recreational space that is low on maintenance and big on fun. Site Specifics. All Rights Reserved.